TRANSIT PASSES: To qualify, a pass, token, fare card, voucher or similar item must entitle employees to transportation on a mass transit system or I hired vehicle, as long as it seats at least six adults, not including the driver. 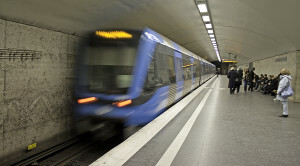 Mass transit included bus, rail or ferry and it may be publicly or privately operated. You’re allowed to offer tax –free cash reimbursements for transit passes only if you can’t readily purchase vouchers to give employees. QUALIFIED PARKING: To qualify, the parking space must be provided on or near your business or at a location where employees can leave their cars and then commute to work by mass transit, a hired van or by a car pool. One example is a “park and ride” lot. However, the parking spot can’t be at or near an employees home- in other words, no tax-free payments to cover parking at a workers apartment or condo. EMPLOYER-SPONSORED TRANSPORTATION: To qualify, a company must provide a vanpool or other “commuter highway vehicle” that has a seating capacity for at least six adults, not including the driver. Your company can furnish the vehicle and the driver or you can hire an outside firm to handle it. At least 80 percent of the vehicles mileage must be incurred transporting employees between their homes and your workplace. Also, during at least 80 percent of its trips, the vehicle’s seats must be at least half filled with employees (not including the driver). Note: Other than the parking perk, there’s no travel benefit for workers who commute in their own vehicles.